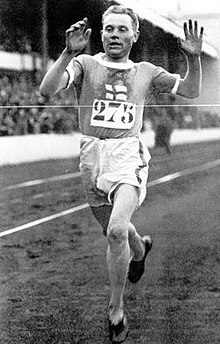 Paavo Johannes Nurmi (13 June 1897 – 2 October 1973) was a Finnish middle- and long-distance runner. He was born in Turku. Nurmi set 22 official world records at distances between 1500 metres and 20 kilometres. He participated in the Olympic Games twelve times where he won nine gold and three silver medals.